This stuff is so good! it is gluten-free vegan. 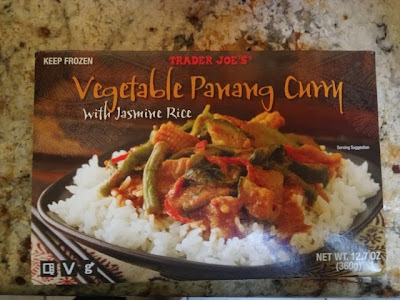 i take it out of the plastic packaging when i heat it up even though it is plastic #5 which is fine and reusable but i feel better about it being in glass or ceramic when i heat the food. this curry was so creamy and coconuty. the veggies are good too.